Today has been a bit of a happening day for the jailbreaking community. A couple of hours ago, Chronic Dev Team released their Reporter program which sends crash reports to Chronic Dev Team servers (instead of Apple’s) so they can find exploits, and now we’ve received news of yet another jailbreaking tool. It’s called Ac1dSn0w and it jailbreaks iOS 5/iOS 5.0.1 tethered on OS X Snow Leopard and Lion. Check out the step-by-step guide after the jump! News of Ac1dSn0w comes from a Unix hacker – in the form of an update sent out from his Twitter account. As of right now, Ac1dSn0w doesn’t really differ from established tools like Redsn0w and Sn0wbreeze but it is a viable alternative and it has a bright future ahead of it with features like remote jailbreaking, custom firmware creation and iRecovery Remote. Also, it is currently available for OS X only. We have tested and can confirm that Ac1dSn0w currently supports iPhone 3GS, iPhone 4, iPod touch 4G and other A4 based devices on iOS 5 and iOS 5.0.1 for tethered jailbreak. Once you go through the steps, your device will be jailbroken tethered, just like redsn0w or sn0wbreeze. iPad 2 and iPhone 4S are NOT supported. NOTE: If you want more stable and trouble-free jailbreak, we still recommend using iPhone Dev-Team’s Redsn0w for Windows and Mac. Step 1: You will need to download Ac1dSn0w for Mac and launch it. Step 2: Connect your supported iOS device via USB with your Mac. Step 3: Turn it off. Step 4: Click on Show Assistant, follow on-screen instructions to enter DFU Mode. Step 5: Once your device is in DFU mode, simply click on Jailbreak from Ac1dSn0w and let it do its thing. Step 6: Your iOS device will reboot after jailbreaking. Step 7: Put it into DFU mode again. Click on Tethered Boot from Ac1dSn0w to jailbreak tethered on iOS 5 or iOS 5.0.1. If you followed the steps correctly, your iOS device will now boot in tethered jailbroken state with Cydia installed. If you wish to restart your device, you will have to go through Step 7 each time you wish to boot into tethered jailbroken state. For semi-tethered jailbreak, simply install “SemiTether” package from Cydia’s BigBoss repo: http://thebigboss.org/semitether to get semi-tethered jailbreak working on your iPhone or iPod touch. 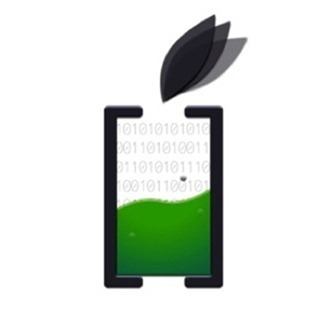 You can learn more about semi-tethered jailbreak by following this link. Update x2: Ac1dSn0w Beta 2 has been released which fixes all the copyright issues found in the initial release. Download link for Ac1dSn0w Beta 2 can be found here. Update x1: MuscleNerd of iPhone Dev-Team has confirmed that Ac1dSn0w in it’s current state contains code that has been illegally distributed. We have removed all the download links of Ac1dSn0w until the team behind the tool fixes this issue. We highly recommend using iPhone Dev Team’s Redsn0w, which can semi-tether jailbreak iOS 5.x on iPhone 4, 3GS, iPod touch.